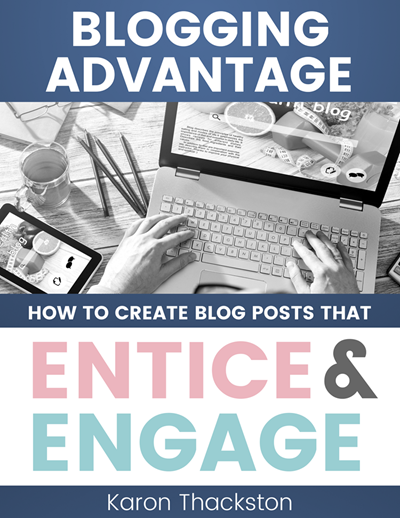 I thought I had everything pretty well in line until I read Karon Thackston’s ebook “Blogging Advantage: How to Create Blog Posts That Entice & Engage.” My eyebrows got a workout as I clicked from page to page and saw the creative ideas Karon laid out. You should give it a look for yourself. If you use the link above and coupon code BLOGADV you’ll save $10, too.